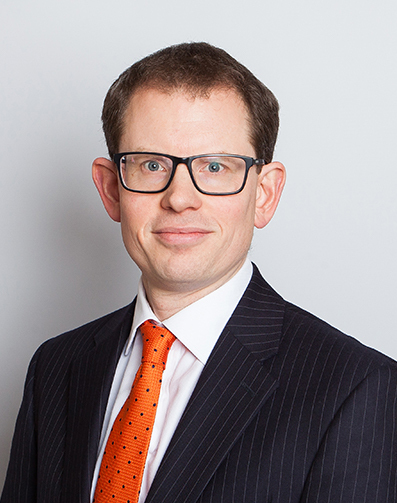 Marcus is an experienced practitioner and noted as a leading junior barrister in the 2019 edition of the Legal 500 for the UK and international in contract and commercial disputes. He receives instructions from solicitors and takes direct instructions from individuals seeking expert criminal and commercial legal advice. In addition, Marcus acts for all parties in regulatory matters such as licensing, health and safety cases and environmental issues. Whether you need advice or representation, Marcus accepts instructions in a broad range of commercial disputes that affect both businesses and individuals in the UK and around the world. His international work has involved working with parties in the Caribbean, Africa and Asia. He has experience in debt recovery and construction litigation. Furthermore, he regularly undertakes cases involving complex contractual disputes, negligence and insolvency. In personal injury matters, road traffic accidents and credit hire claims, he acts on behalf of Claimants and Defendants, as well as appearing at every level including high value High Court disputes. Marcus accepts instructions in a variety of landlord and tenant or property owner disputes. He has represented HMO landlords when prosecuted by local authorities as well as challenged management fees on behalf of private tenants at the First-tier Tribunal. He has advised social landlords providing both written advice and/or representation in disrepair and possession claims including anti-social behaviour on behalf of local authorities, registered providers and charities. His public law tenant work has seen him undertake the above plus pursuing unlawful eviction and homelessness claims including judicial review. He regularly advises on commercial and residential property disputes. The residential housing matters have included boundary disputes and applications under the Trusts of Land and Appointment of Trustees Act 1996. Marcus is experienced in assisting clients that wish to bring or challenge claims for adverse possession, the registration of easements or other issues with entries on the register before the Land Registration division of the First-tier Tribunal (Property Chamber). On the commercial side, claims have considered the status of business leases as well as resolving complex contractual High Court disputes arising from large scale property investment. Marcus is experienced in acting for clients at the Senior Courts Costs Office at the Royal Courts of Justice on complex and high value detailed assessments as well as county court costs assessments. In particular, he has advised and represented clients where the ATE premium is contested including at provisional assessments. A case Marcus acted on at first instance was upheld by the Court of Appeal in 2018. He can provide cogent and straightforward advice on the CPR regime post-Mitchell and Denton including budgeting, costs capping and costs management. 4) Co-author of chapter on ‘Oversees assets’ under Proceeds of Crime Act 2002 in Fraud: Law, Practice & Procedure (Butterworths 2005) : ISBN:0 7545 2434 5.